Dental visits can be extremely stressful and for some Texas residents, the fear and anxiety associated with a trip to the dentist prevent them from getting the care they need. At Brian F. Scaff, DDS we provide the best oral sedation dentistry available. 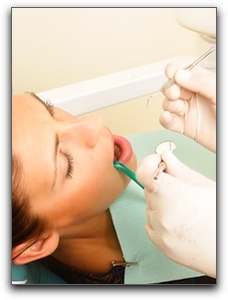 We will accommodate your needs with oral conscious sedation and nitrous oxide (laughing gas). In addition to sedation dentistry, at Brian F. Scaff, DDS we offer our Austin patients a variety of procedures, including cosmetic dentistry, restorative dentistry, dental implants, sedation dentistry, and general dentistry. At Brian F. Scaff, DDS, our professional staff will provide the best possible care for you and your family. Whether you need preventive care or cosmetic dentistry, the positive team at Brian F. Scaff, DDS will give you something to smile about! For more information on oral sedation dentistry or any other dental procedure, contact us at (512) 258-9130. We are located at 12335 Hymeadow Dr. Ste 100, Austin, Texas 78750. Call today!